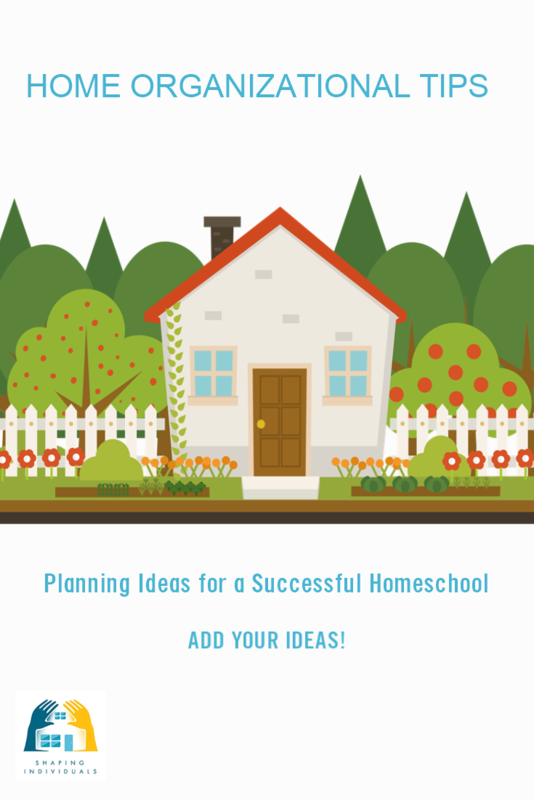 Homeschool Organizational Tips and Planning Ideas for Success! 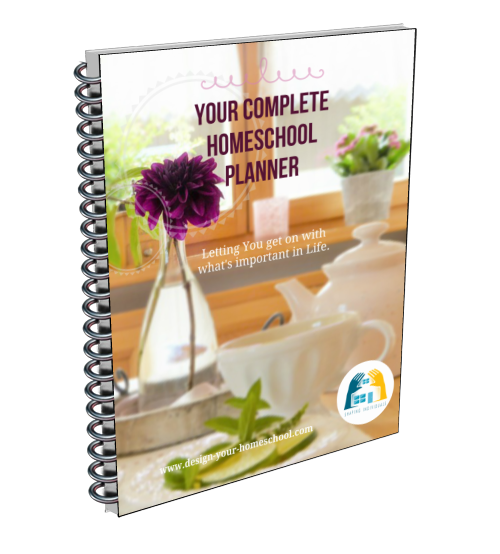 If you have trouble with homeschool planning and all that needs to happen in your home, you're not alone! There are different kinds of families... those who know the helpful homeschool organizational tips and ideas and those who need to know them. Which one are you? 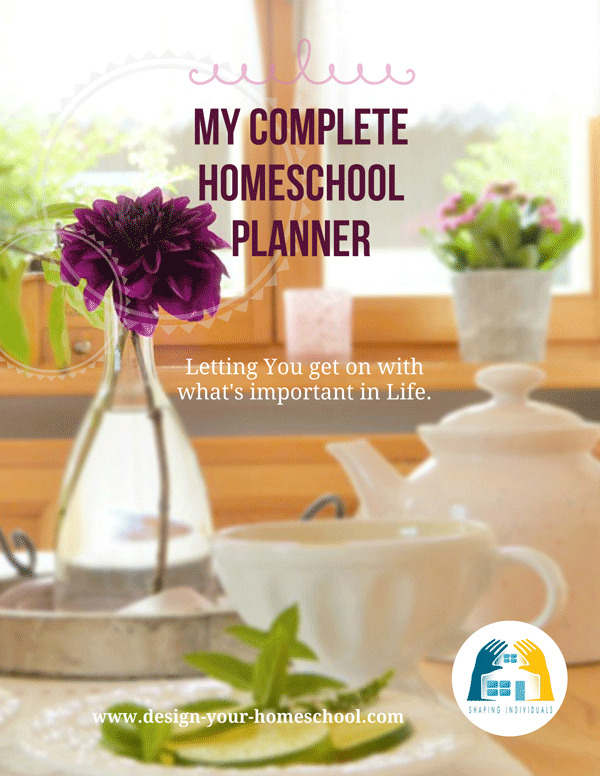 Do you love to talk about the latest life and homeschool organizational tips and ideas and wish you could put it into place - you'd really love to have your homeschool planning down pat - totally under control? Or are you one who loves systems and setting them up and looking at the wonderful product they've made. Or are you one of those who have the magical gift of combining the ideas with the practice and then actually doing it... and even using it! How do you organize your home-schooling life? Are you full of wonderful organization tips for others? Perhaps you have a system which you have used and had in place over the years which you would love to share with us all. Well, this is the place to be ... Share... Brag... Tell us how we should be more like you! Help those who just can't seem to get it all together... We need your help. You may want to by a roll of gift wrapping paper (plain)from the dollar store. Hang it on the wall, get out your sharpie marker, and start categorizing! Draw vertical lines to make however many columns you need per person. You can write each name above each column. Start writing the basic goals you need right away, then goals you need within a week, within a month, so you get the idea of the big picture. Also get some boxes, label each by taping securely a sheet of zerox paper,and marking what is in the box. Try to coordinate these boxes with your goals chart. Once labeled and filled, put the boxes in line with each name on the chart. Then start to organize the boxes according to this week, next week, next month, etc. per child and you included! All supplies should clearly be in a box - art, office, etc. Clear off your table and keep it cleared. You need to instill habits that work to keep your house sane. The children need to know this. They can help you if you keep this clean-up fast paced. Once organized it stays that way, until you decide to make further refinements. The stuff you won't need right away - can be covered with pretty, or plain fabric to make your home look restful to the eye. Hope this helps. Whew! All those mittens, hats, and scarves just lend themselves to a big heap by the door if you don't tame them in time! Then you have to deal with the "Where's my's". You know: "Where's my hat? Where's my spiderman scarf? Where's my other mitten with the pink hearts?" etc. Then, summertime can be just as annoying! "Where's my ball mitt? Where's my bug cage? Who took my gardening gloves?!" First off, when it comes to winter wear, I limited each of my family, and myself, to 2 pairs of gloves or mittens, 2 hats, and 1 scarf. Then, I bought one of those sweater organizers that you hang on your closet rod that has little shelves for storing sweaters. Instead, I turned it horizontally and mounted it to my wall. Voila! Instant cubby holes! Since my twins are just learning to read & we also have a 2 yr. old, I put a small picture(covered in contact paper)under each cubby so each person knows who's cubby belongs to who. They are responsible for putting their gear in there, and they know that if we go to leave the house, or go do an activity, and they can't find their gear, it is their consequence to their own actions. They will get very little sympathy from me, nor will I allow them to hold the rest of the family up because of their disorganization. It has made the area much neater around the door, as well as made coming/going much less stressful for me to coordinate! 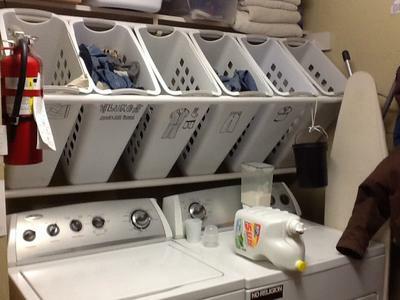 Give your Laundry a Lift! This has given me lots of laundry encouragement while homeschooling with six children. I hope this idea will also help other larger homeschooling families deal with the continuous washing pile. 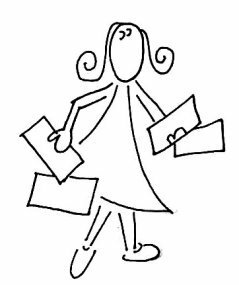 Confessions of an Organized Homemaker - Eureka! Feeling desperate and so very frustrated, I found this book at my local library. I've been homeschooling for thirteen years and with seven children from kindergarten to high school, housework was a constant challenge. 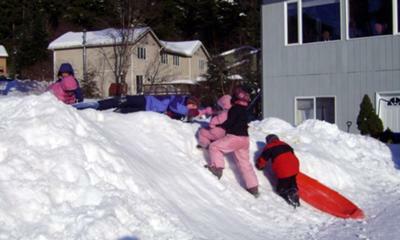 I was feeling so inadequate and yet I didn't want to surrender and believe there was no way I could keep my house under control. Most homeschoolers recognize that homeschooling is a full-time job and when you throw in laundry, meal preparation and just picking up, it can be so overwhelming. I tried, but I just couldn't keep up with the mess that was my house. I found myself picking up, moving things from one room to another, but rarely getting my house truly clean. It was an endless cycle of straightening, doing the same work over and over as I tried to organize the mess. It was so frustrating and my house wasn't really getting clean. I knew my husband was disappointed with the state of our house but I didn't know what to do. I felt like a hamster on a wheel. Thanks to "Confessions of an Organized Homemaker" by Deniece Schofield I have a plan I can follow. I started using the techniques I learned in the book three weeks ago, and even though we started school after the first week, I am getting my house under control. My kitchen is clean; not just straightened, but truly clean and organized. Everything has a designated place. It's like my house had a makeover by an organizational expert. I love the book so much that I bought the book and two others by the same author. I plan to use them with my girls to teach them how to manage a house. 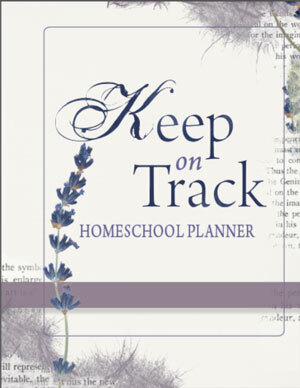 If you're overwhelmed trying to homeschool and keep your house and schedule under control, I highly recommend this book. You'll have a EUREKA moment, too! The Organizational Motto I live by! To have the TIME management working - I really enjoy making lists of things to do (beginning of the month and start of the week). I then schedule each week. If something does not fit into the week, I know I might be overloading....and I rethink my priorities with prayer. What helps me stick to the schedule? I try and minimize interruptions (not emergencies) and I have learnt to say NO. Organize Homeschool Stuff with Totes! I don't know where I'd be without TOTES! You know, those rectangular plastic boxes with lids that come in all shapes and sizes. One of our favorite uses is for each child's books, notebooks, binders and supplies. They are easy to store, and easy to move to where every you are working. Even Mom has one for her books and supplies! We also use the totes to store curriculum by year and grade level. Sure makes it easy to find what you want at the beginning of each school year! I have two children who are potty trained during the day and by night they sleep heavy and soil their bed linens. One soaks right through their pullup and the other takes theirs off! This makes for stinky sheets. I make my own laundry soap for about a penny a load and add tea tree oil to the mix then I use white vinegar in the rinse....This works so much better than highly perfumed detergent and my clothes are clean and I have saved so much money. The recipe is the one that is online from the Duggar family. However, I use 1/2 cup extra of each powder plus the tea tree oil. I absolutely love it. I will give it here but I do not take credit for the original recipe. Here is the recipe that I use. Shave down and melt a bar of fels-naptha soap in 4 cup of water over med heat. Add 1 1/2 cups of Arm and Hammer supper washing soada and 1 cup Borax add all this to a five gallon bucket and fill with water and stir. Fill an empty container 1/2 full with the soap solution and the other 1/2 with water. Shake each time you use. 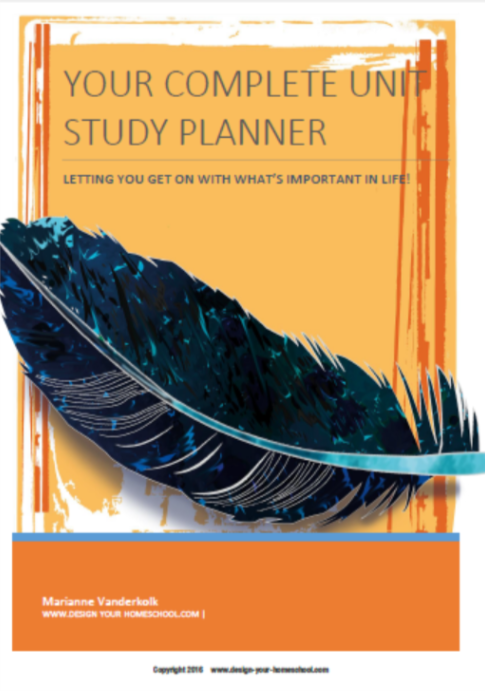 Check out the Homeschool Planner Options! Organizational Tips or Your Desperate Need to be Organized! Don't keep it to yourself... share it here. Do you have a picture or photo which explains your Organizational System or Brilliant idea? Great! Show us the product! Click the button and find it on your computer. Then select it.